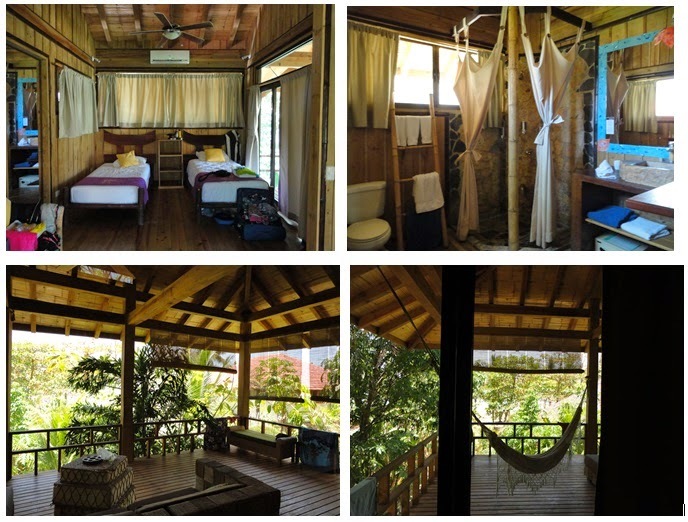 Here's a quickie review of Pranamar Villas in Santa Teresa, Costa Rica. I stayed there in April 2014 for a yoga retreat. I had a wonderful stay; the staff was friendly and accommodating, the food was varied and tasty, the open-air yoga room was lovely. It was the dry season so some of the foliage on the property was a little thirsty. There are hammocks on the porches and on the beach. The beach is a 30 second walk across the property. Massage and Reiki are available on site. Thirsty vegetation by a salt-water pool. From all accounts, it is the nicest hotel in the area. Just like my stay at Soulshine, Bali, I'd describe it more like luxury cabin camping. Not a knock on the property - just an observation.